What effect has two decades of intensive state direction and government involvement had on education? Designed for Education Studies students who have probably grown up in this context of government intervention, this book deconstructs accepted notions and provides readers with the resources to discuss critically the role of the governments in education and schooling. The book examines government policy in a series of key areas, such as the curriculum, market forces, educational inequality and race issues. Throughout it considers the political and economic factors in education policy, introducing some of the fundamental concepts required to analyse the ideologies of education and the state. 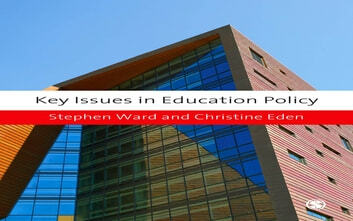 The authors explore the role of education policy in the context of the general direction of government policy, politics and the economy, making links with other policy areas such as health, social services, home affairs and foreign policy. They also explain the nature of government policy in terms of a globalization and the knowledge economy.